Paul Smith joined CHS in May 2008 and oversees the operations of affiliated hospitals in Florida, Georgia, Indiana, Missouri, North Carolina, Virginia and West Virginia. Prior to his current position, he served as Vice President of Division Operations, supporting operations of affiliated hospitals across the southeast. 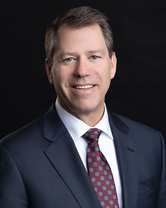 Prior to joining CHS, Smith was with another hospital management company for 14 years where he served as Vice President and CEO of a hospital in North Carolina. Smith received his bachelor’s degree in business from Mercer University in Georgia and master’s degrees in both business and health administration from Georgia State University in Atlanta.